As you read in the previously post, after over 10 months on the road, I have cycled from the Atlantic Ocean to the Pacific Oceean, a 13 500 km fixed gear bicycle ride. 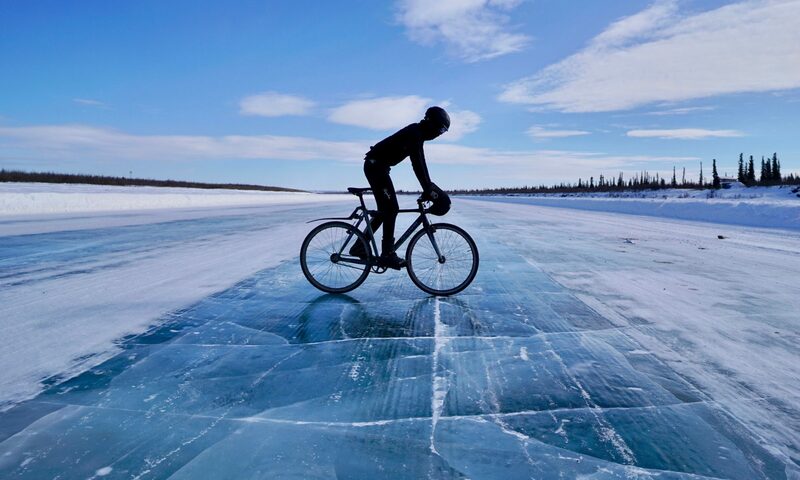 The Big Journey is a personal challenge and a Guinness World Records attempt to cycle all three Canadian coasts in fixed gear in a single journey. 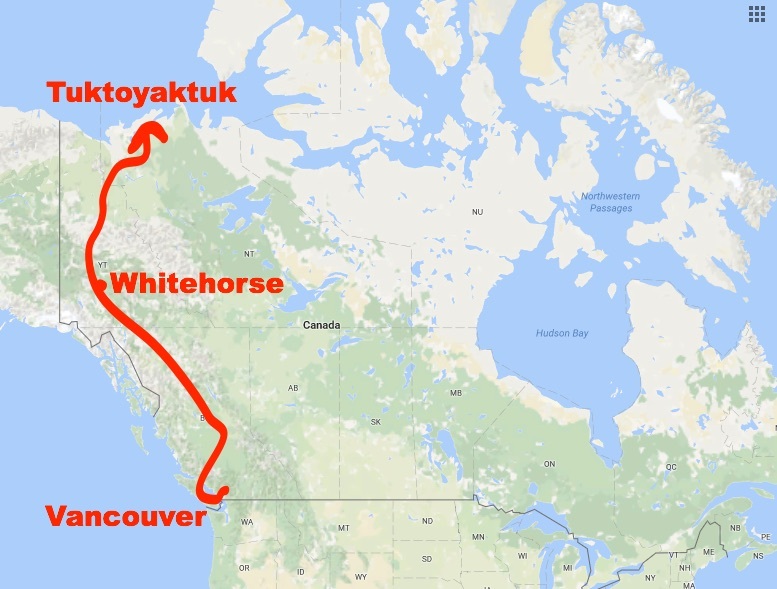 This means that this epic trip is far from over as I still have to get to Tuktoyaktuk on the Arctic Ocean from Vancouver where I am based which is close to 4000 km in mostly unpopulated region with extreme cold that average -20 degrees Celsius. I am up to the challenge but recognise that after Whitehorse, things will get VERY dangerous if I cannot find someone to drive some sort of Motorhome for me to stay in at night since human settlements are too far apart at distances that I cannot cover in a day ride due even if the snow-ridden roads or short days due to sunlight were not a big factor. I learned one thing in this trip: to just get on the bike and go and everything will fall into place. So I am hoping for the best and I am doing my bit by stepping to the plate and pedalling. Needless to say that I have had to upgrade my clothing and change tires as I will be cycling in extremely cold conditions and the snow will not help. I won’t be updating my blog as I am leaving my laptop behind but do make sure to follow the trip on my @JaBig Instagram where I post daily updates as soon as I get to a Wifi connection as there is no cell coverage there for me to use my data plan. Keep up the good work brother. So proud of you. Previous PostPrevious Vancouver, At Long Last!